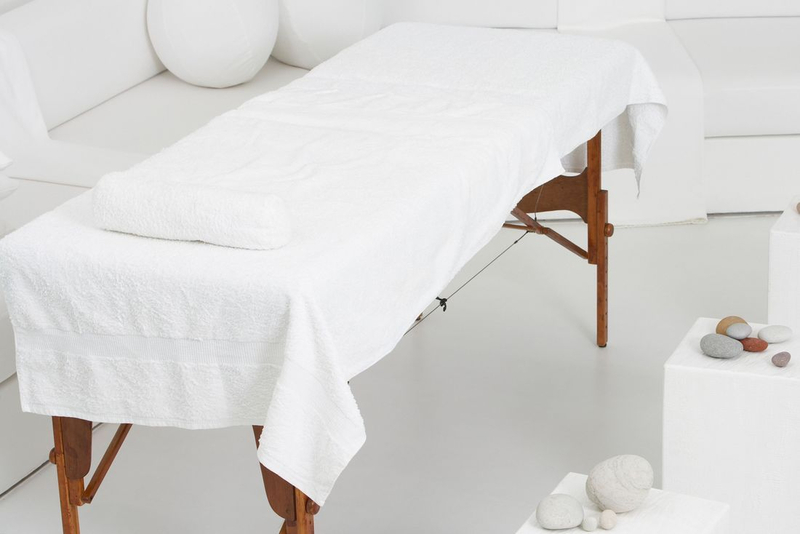 Discover why Ashiatsu, "Ashi" has been coined, "The Deepest, Most Luxurious Massage on Earth"
Your Ashiatsu therapist will use bars suspended above the table for balance, while massaging you with their FEET. The ADBT therapist applies massage techniques directed through her bare feet. Clients receive anything from moderate pressure to very deep work without the pain and discomfort that often accompanies the use of a therapist's thumbs or elbows. This modality (type of massage) has been shown to be especially effective in the treatment of low back pain, however, it is also safe and effective on almost all areas where "hands on" techniques are used. What does an Ashiatsu session feel like? Will it hurt? Ashiatsu massage will use deep, broad strokes, creating deep relaxation...with no pain. When administered by a trained Ashiatsu therapist, Ashiatsu is experienced as deeply relaxing, effective and painless. Clients of all ages and sizes can experience the benefits of Ashiatsu. What happens during my Ashiatsu session? After a consult, your therapist will allow you to disrobe in private and you will begin your session face-down on the massage table. The therapist will stand on the table, using the bars for leverage and balance while massaging you with their feet. Your therapist will not be "standing on you" or "walking on you." Your safety and comfort is a priority at all times. Trust us, many say, I'd never! But once you try Ashiatsu, many never go back to anything else. Truly an amazing massage experience. If you LIKE Deep Tissue, you will LOVE Ashiatsu!